They want to make sure it sells. In order to dramatically increase the chances that the house sells, a homeowner should list with a real estate professional in their market. Why? Because agents have access to the vast majority of the available buyers!! According to the National Association of Realtors’ (NAR) recently released 2016 Home Buyer and Seller Generational Trends Report, 87% of all buyers purchased their home through a real estate agent or broker. 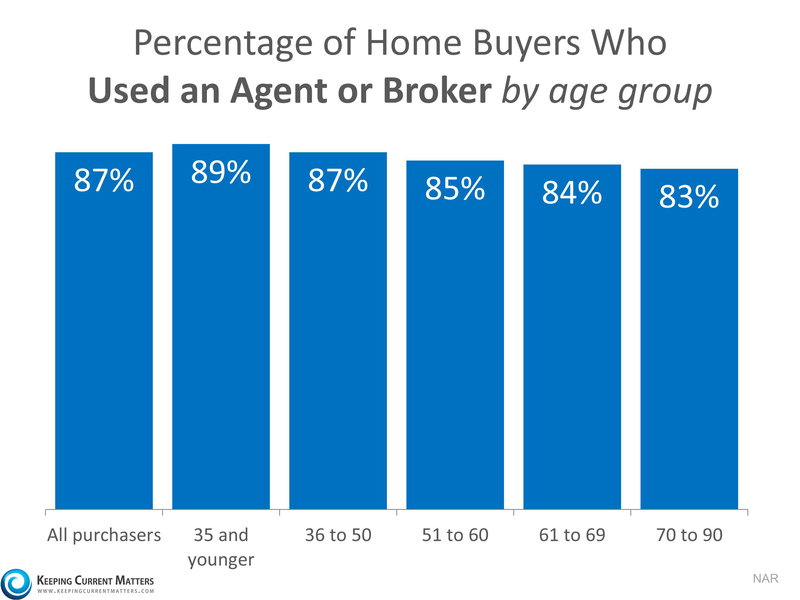 And more that 8 out of 10 buyers in every age group used an agent (see chart below). If you want your home sold, the best way is to go where the buyers are. The NAR study revealed that the vast majority of purchasers will use an agent when they buy. Meet with a local real estate professional today if you want the best chance of selling.